Technology is changing the way we work and communicate, and now it’s revolutionising our homes. Here’s how. From heating systems that know what you like to voice-activated appliances, technology is revolutionising our homes. We take a look at some of the best new products on the market. 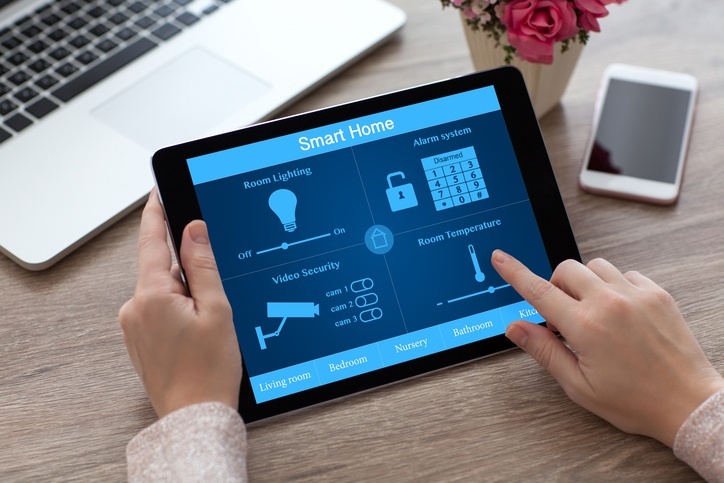 One of the main areas we’ve seen innovation in home technology is in front door security – and some of the things coming to market are nothing short of amazing! 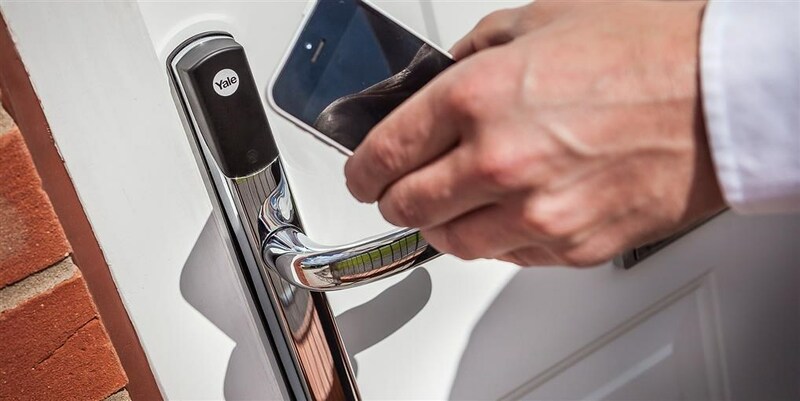 Take the Keyless Connected Smart Door Lock from Yale (from £129). This smart piece of kit allows you to use a fob or keypad to enter your house as opposed to a key. Or the Yale Conexis Fast Lock (from £249) gives you multiple options to suit you -from a key fob, wallet size card or mobile phone entry. The benefits? Aside from the fact getting locked out will become a thing of the past, you can also set temporary security codes for, say, a builder or a neighbour who is feeding your cat while you’re away – in short, people who you want to be able to access your house for a short amount only! All family members can have their own fob and if one of your kids loses theirs you can just text them a one off code to get in. The Nest doorbell security camera (£229) is another brilliant product, allowing you to essentially answer the doorbell via your mobile and see who’s there via a wifi-enabled camera. If you’re out and about and a delivery man calls, for example, you can answer via the camera/intercom and let him know what to do with your parcel. You can even set up automated responses if you’re not able to ‘answer’ the door. Imagine if your heating system knew exactly how hot (or not) you liked your house. How about it sensed when the weather outside was turning grim and new to crank up the thermostat. Well imagine no more my friend, this actually exists! The Nest Thermostat (from £179.99) gets to know the temperature you like when you’re at home and when you’re not in, it turns itself down. The smart tech will learn how your home warms up or how cold it is, so it only uses the energy it needs – saving you cash in the process. Your pal Alexa (Amazon Echo, £149.99, Echo Dot £49.99) can do much more than tell you the weather or play your favourite songs. Indeed, there’s plenty of ways it can be used around the house. Alexa can act as a timer while you’re cooking or accessing recipes or even for ordering a takeaway if it all goes wrong. You can even buy Alexa-compatible appliances, that you can control with your voice! 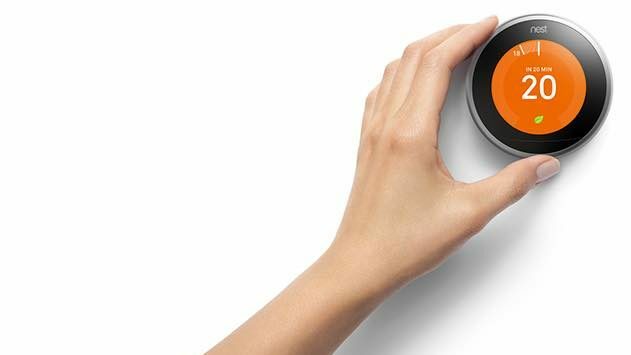 The Nest thermostat is one but there are an increasing number of compatible home products being released all the time. For starters, how about using Alexa to control your lighting. 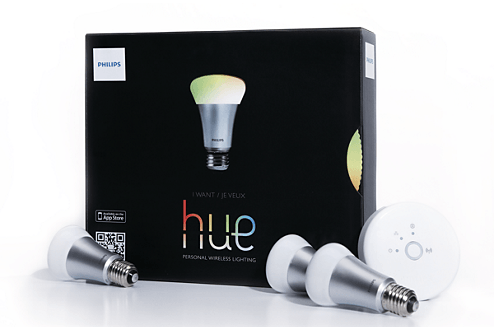 Philips has a range of smart, connected lighting solutions to kit your house out with (from £24.99 for two bulbs). The white and colour starter kit can be programmed to offer all kinds of colours for setting the mood. Your lights can also be set up to make it seem as though someone is at home to deter burglars or turned on remotely from your smart phone. We like the idea of the Alexa/ smartphone operated lights, especially from a security viewpoint. But with the Neato Robotics Botvac (£442.97) we get a glimpse of how Alexa can really start taking the work out of housework. 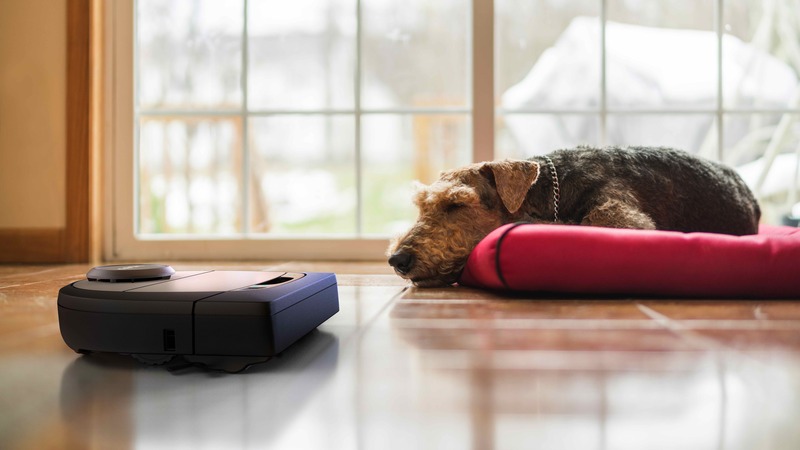 A simple “Alexa, tell Neato to start cleaning!” and your floors will be fluff-free without you lifting a finger. You can also ask Alexa to tell it to start, stop, pause or resume cleaning whenever you like. You can also use Alexa to control your TV. With an Amazon Fire TV Stick (£39.99), which you can plug into any smart TV, you can ask Alexa to play and search for movies and TV shows, launch apps – use the ad break to get some shopping done – and control playback on your TV. Why bother cutting the grass when you can get a robot to do it? Robot lawn mowers start from around £500 but go up to around £3,000 but if they give you your Sunday afternoons back, surely they’re worth it? Worried about what your pet is up to while you’re not at home? Well, worry no more, from as little as £35 you can have a camera at home to keep an eye on your furry friend while you’re not around. Some come with bark sensors so your dog can get your attention even when you’re out, while others dispense treats. Tell us what products you’ve invested in and now can’t live without!